Stop by Mother's and learn some authentic slang like "creolized" or "ferdi special." Just don't be caught holding up the line. Serving, in a single year, no less than 175,000 pounds of ham and roast beef, Momma knows what she is doing. Can get much better at a gas station or corner store for 1/2 the price and wait! Long lines don&#039;t equal good food, just tourist not knowing any better. Some of the best food you will eat in New Orleans! Nothing fancy here - no table service. Get in line, walk up and order. Stick to the menu (no special orders here). Red Beans/Rice, Gumbo, Bread Pudding. YUMMY. When are you going back? - take me with you. But the food is great. 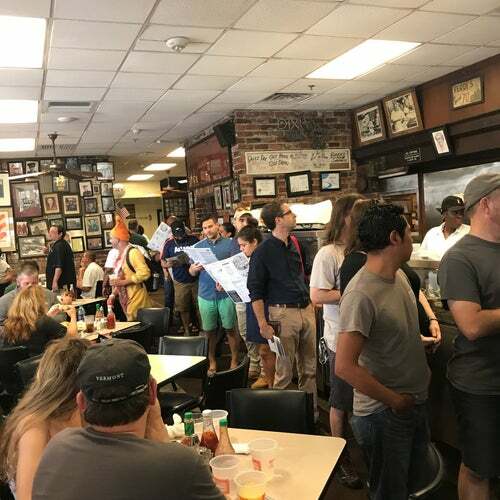 It is quite a hole in the wall, but one that should be experienced when you're in New Orleans. Great southern food at a great price, but order it right or you might be yelled at! Do not miss Mother's when in New Orleans!